Cabeirian’s Sunshine Coast win will boost his trainer Gary Doughty who is recovering from surgery. 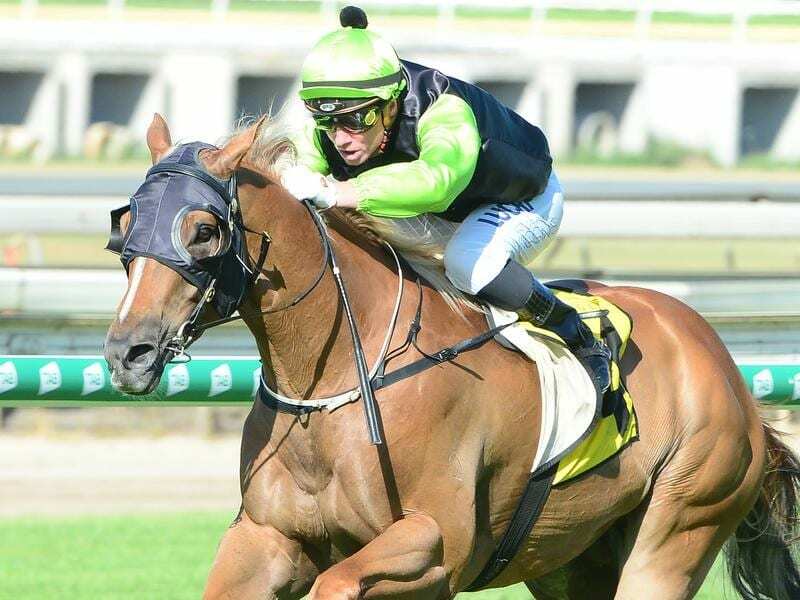 Trainer Gary Doughty has received a major boost to his recovery from a six-hour operation with Cabeirian’s win at the Sunshine Coast. Doughty had surgery in 2017 for a diverticulitis which had burst and he required follow-up surgery last week. His wife and fellow trainer Kelly said Doughty was on the operating table for six hours and spent a week in hospital. “He is home but obviously pretty weak. Our main task is to get him to eat so he can build up his strength,” Kelly Doughty said. A flashy chestnut, Cabeirian is a half brother by Snitzel to the Doughty’s top sprinter Flamboyer. “Now we are back on bigger tracks I hope Cabeirian can work his way through the classes,” Kelly Doughty said. A former jockey, Gary Doughty began training last year after working as Kelly’s foreman for some years. Doughty retired from riding almost 20 years ago after suffering an eye injury in a fall. A a jockey, Gary Doughty is best remembered for his win on 250-1 chance Abaridy in the 1986 Group One Caulfield Guineas.